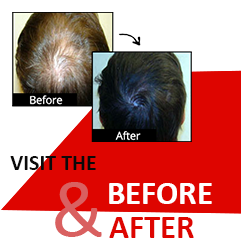 If you are suffering from hair fall or noticing a thin hairline on your head then need not to worry you are not alone. There are thousands of people in the world who are victim of the same issue. As the life changes a person’s age increases he/she starts losing his or her hairs. Getting your hair back is a good feeling which increases self confidence of an individual. Hair transplant is a great advanced technique found today. It is done for the treatment of hair loss. New hairs start growing with the help of this method. There are some things that should be kept in mind when surgery is done. First is shampooing your hair transplant doctor will prescribe you shampoo that you need to use afterwards. It will aid your scalp in healing. Avoid normal shampoos because these can be set harmful for your hair. Moreover these shampoos include different chemicals which are not good for your wounds present on your head. Use recommended shampoos at least for two weeks. After this period you can come back to your favorite shampoo. Undoubtedly, you can make yourself ready according to your taste even after receiving this treatment. Make hair styles that you like but do not use any other kind of products on hair such as conditioners, gels, serums, hair sprays etcetera. These things have bad impact on your hair. Later on, with the use of these things irritation start on the cuts which can cause infection. It is always necessary for you to ask your surgeon before using any type of product on your hairs. Third most important thing, do not get your hair cut. During hair cut they use certain kind of tools and brushes that can again prove dangerous for your injured scalp. After you get relief from your injuries you can get anything done on your hair that you want. The best person to ask about hair tips is your surgeon whom you are consulting. He/she can easily understand your medical history and guide you about the kind of procedure you will receive. Well, there are many people who prefer non-surgical methods but these are not much better than surgical procedure. Laser therapy and other medications are included in non-surgical techniques but surgical procedures have good results than non-surgical processes. You can even read about different surgeons on internet to get feedback. Testimonials are available that give you the proof of proficient doctors. It is important to follow instructions if you want to get your hairs back and you will certainly enjoy original hair growth. Consult hair transplant Punjab. Apart from this, visit Platinum Hair Transplant Centre always work for our customers and provide them excellent guidance as well as treatment. Do not hesitate come anytime for best surgery.